Else was a very hardworking woman. She worked for Nelson's Café for many years and bartended. Her family was her life. Else and John were married for fifty-five years. They have ten grandchildren and eleven great grandchildren. Else was preceded in death by her husband, Oliver Martindale, and her son, John Harold Martindale. Memorial services will be held Monday, February 11, 2019 at 1 p.m. at Morrison Payne Funeral Home. Services are under the direction of Morrison Payne Funeral Home. SUBLETT – Jeanette Rigby, a 72-year-old resident of Sublett, passed away Thursday, February 7, 2019, at Parke View Rehabilitation & Care Center in Burley. She was born June 22, 1946, in Rexburg, Idaho, the daughter of Harry Theodore and Tabitha Ellen Mcann Willmore. She graduated from Raft River High School and subsequently married her eternal sweetheart, Fredrick James “Jim” Rigby on December 29, 1964, in the Logan Utah Temple. They lived their entire married life in Sublett, farming. Jeanette enjoyed sewing, art work, fishing, camping, swimming, and traveling. The funeral will be held Thursday, February 14, 2019 at 11 a.m. at The Church of Jesus Christ of Latter-day Saints—Raft River Ward, 2551 E. 300 S., of Declo, with Bishop Bryce Campbell officiating. Burial will be in Sublett Cemetery. Friends may call Wednesday, February 13, 2019 from 6 to 8 p.m. at Rasmussen-Wilson Funeral Home, 1350 E. 16th St., in Burley, and at the church on Thursday, one hour prior to the funeral. Kenneth H. Brown, 94, of Jerome, Idaho passed away February 2, 2019. Growing up, Ken’s family called him Bud. He was born in Broken Arrow, OK on July 18, 1924 to Josiah Harlan Brown and Clare August Weare Brown. The Brown family moved to Kansas and worked in mining, building and farming. Ken’s father’s education is documented as having only completed the third grade, whereas he finished the 7th; but his God-given wisdom and self-gained knowledge far exceeded those years of formal education. Ken joined the Navy in 1949 and served as a Navy Diver on the U.S.S. Hissem DE/DER400. His service included both WWII and Korean wars. Ken was married to Muriel J Brown for 39 years until her passing of Alzheimer’s Disease in December 2006. Together they devotedly raised five children and were the proud grandparents of nine. Ken took pride in providing for his family by working in building and farming. They started their family in CA and moved to UT, MT and then ID in 1980. He was known for being able to fix just about anything and creating new things out of old. He worked several years on remodeling the Twin Falls Hospital. He had an endearing dry sense of humor, enjoyed old western movies, working in his workshop, sharing stories from his Navy days, hunting and fishing, spending time with his family and eating good Mexican food. Ken’s children remember Christmas gifts he made from scratch such as doll cradles, high chairs, a ping pong table, picnic table, chairs and more. Each were custom designed, painted and lovingly created with an extra bell or whistle that a store-bought version wouldn’t have. He enjoyed working in his workshop, climbing ladders (ignoring the advice of friends and family not to do so), repairing and creating things up until the day before God called him home. Ken was able to live in his home until his passing with the assistance of loving caregivers and devoted neighbors. He gave his life to the Lord in 2007 and discovered a new-found way to love and serve others. His motto was, “you don’t need a lot to give a lot”. Last year Lisa Gibson and the community of the Habitat for Humanity of the Magic Valley ReStore hosted a 94th Birthday party in his honor and he was surrounded by a room full of people who loved him and celebrated his life. It was one of the happiest days of the second half of his life and one for which the family will forever be grateful. Habitat for Humanity of the Magic Valley is part of a global, nonprofit housing organization operated on Christian principles that seeks to put God’s love into action by building homes, communities and hope. Ken is survived by daughters, Donna Romani and her spouse, Dan; Shirley Titus and her spouse, Mike; Sandie Davis and her spouse, JR; Karen Gillman and her spouse, Mark; son, Kenny Brown; and nine grandchildren: Matthew, Joseph and Andrew Romani; Christopher Johnson and spouse, Teressa, Brian, Brad and Halie Davis; and Olivia and Ayden Gillman. In lieu of flowers, please consider a gift of time, money or goods to Habitat for Humanity of the Magic Valley ReStore c/o Lisa Gibson, 669 Eastland Dr S, Twin Falls, ID 83301. Phone 208-735-1233. A Celebration of Ken’s Life will be held Friday, February 15, 2019 at 1 p.m. at Farnsworth Mortuary, 1343 S Lincoln Ave, Jerome. A graveside service with Military Honors will follow at the Jerome Cemetery. Memories and condolences may be shared with the family on Ken’s memorial webpage at www.farnsworthmortuary.com. Willard Darwain Brown, 85, of Jerome, passed away peacefully at home on Wednesday, February 6, 2019. He was born May 24, 1933 in Buhl, Idaho to Ernest Brown and Ava Hunt Brown. He was the third child of six. A viewing will be held Friday, February 15, 2019 from 6 to 8 p.m. at Farnsworth Mortuary, 1343 S Lincoln Ave, Jerome Idaho. Funeral services will be held Saturday, February 16, 2019 at 11 a.m., with a viewing beginning at 10 a.m., at the Church of Jesus Christ of Latter-day Saints, Jerome Stake Center, 26 North 100 East, Jerome Idaho. Interment will follow at the Jerome Cemetery. Joyce Ann Jackson, 74, of Jerome, Idaho passed away Thursday, February 7, 2019 surrounded by her loving family. Joyce was born December 14, 1944 in Wendell, Idaho to Lewis and Elva Harmon. She graduated from Valley High School in 1963. She married Thomas D. Jackson on September 18, 1964 and together they had two children, LeAnn and Mike. As a family of four they farmed and raised registered Suffolk sheep northwest of Jerome. Joyce had many jobs. She worked for Tupperware and she was a long-time employee of Simerly’s Grocery Store in Wendell, Idaho. She continued to live on the farm until 2014. She then moved in with her son. Joyce was a member of the Church of Jesus Christ of Latter-day Saints where she served in many capacities during her earlier years. Joyce enjoyed watching her three granddaughters grow up into beautiful young women. She enjoyed even more being a great grandma to her six wonderful great grandchildren. Joyce is survived by her brothers, Duane (Connie) Harmon of Pocatello and Norman Harmon of Hazelton; her sister, Rose (Gary) Kincaid of Paul; her two children, LeAnn Jackson Taylor and Mike Jackson of Jerome; her three granddaughters, Brittni Jackson Stimpson, Jordan (Tyler) Van Dyk and KassieDee Jackson all of Jerome; her six great grandchildren: Deegan, Kaybree, Preston, Easton, Cashton and Weston; and many nieces and nephews. Joyce was preceded in death by her parents, Lewis and Elva Harmon; and her loving husband, Thomas D. Jackson. Joyce will be greatly missed by all of her family and friends. A viewing will be held Wednesday, February 13, 2019 from 6 to 8 p.m. at Farnsworth Mortuary, 1343 S Lincoln Ave, Jerome. Funeral services will be held Thursday, February 14, 2019 at 2 p.m. with a viewing beginning at 1 p.m. at the Church of Jesus Christ of Latter-day Saints, 50 E 100 S, Jerome. Graveside dedication will conclude at Jerome Cemetery. 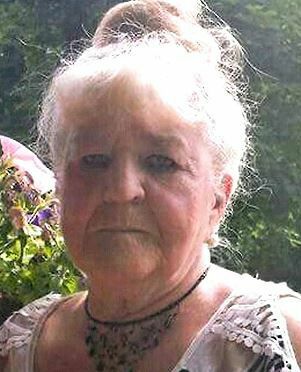 Memories and condolences may be shared with the family on Joyce’s memorial webpage at www.farnsworthmortuary.com. On January 29, 2019 heaven welcomed a husband, father, grandfather, great grandfather, and servant to his community. Hal Tanaka passed away, surrounded by loved ones at his home in Dayton, Oregon. He was 81 years old. Hal was born in Shoshone, Idaho on Sept 10, 1937 to Ray Kazuo Tanaka and Marie Mitsuko Kono Tanaka. He graduated from Shoshone High School in Shoshone, Idaho in 1955, Linfield College (BA-Education) in 1960 and University of Oregon (MA Education) in 1973. Hal taught and coached in Idaho High Schools in Wendell, Filer, Jerome, and Arco. On Sept 4, 1962 he married Sharon Ann Hardesty of Filer, Idaho and they lived in Arco, Idaho. There they were blessed by their first daughter Camille. They then moved to Jerome, Idaho where he taught and soon they welcomed their second daughter Christine and stayed until 1969. Hal then excepted a teaching and coaching position which moved them to Dayton, Oregon. There they welcomed their third daughter Cathryn. The family remained in Dayton and Hal taught and coached many teams for 29 years at Dayton High School, in addition to coaching track and field at Linfield College and Western Mennonite High School. Hal had a passion for anything physical and studying movement, so he furthered his education by getting his massage therapy license in 1985, which he used to help support others in their sports and athletic endeavors. On September 12, 1998 he married his second wife Sharon Alice Myers from Portland, Oregon. They continued to reside in Dayton where he soon retired from teaching but continued his coaching career and support of athletics. He also loved watching his Grandchildren play sports and was always there cheering them on. His legacy is in teaching and coaching across many subjects and sports where he was an inspiration to many. In 2015, Harold was recognized for 55 years of outstanding service to interscholastic athletics by the Oregon Athletic Coaches Association. While he was a lifelong educator, teacher, and coach who loved his family, athletics, golfing, bowling, and fishing. He also had a strong faith and loved the Lord with all his heart. He was the choir director and helped start a ukulele club in his church. He loved to sing and used his voice in many events, choirs and theatre performances. Hal was preceded in death by his parents, first wife Sharon, sister Frances, and great granddaughter Adelyn. Survivors include his wife Sharon Alice, Daughters- Camille, Christine (Kristine), Cathryn (Jeff) Brothers- William, Robert, Richard, and Gilbert.Step Children - Kim (Reed), Sandra (Jim), Bruce, Janice (Rob), Kelsey (Vern). Grandchildren- Cody, Cassi, Kylee, Jori, Step Grandchildren- Nicole, Michelle, Kyle, Nelja, Megan, Michael, Alysha, Emily, Jesse, Noah and 15 great grandchildren. ALASKA—Celebration of Life will be held today at 2 p.m. at the Alaska Land Civic Center. Floral arrangements can be sent to the Civic Center today between 10 a.m. and 2 p.m.
OREGON—Memorial service will be held today at 3 p.m. at St. Luke Lutheran Church, Oakridge, OR. KIMBERLY—Celebration of Life will be held Monday, February 11, 2019 at 1 p.m. at the Twin Falls Reformed Church. Arrangements are under the direction of Rosenau Funeral Chapel. PAUL—Funeral will be held Monday, February 11, 2019 at 11 a.m. at the Church of Jesus Christ of Latter-day Saints, Paul Stake Center, 424 W Ellis St in Paul. A viewing will be today from 5 to 7 p.m. at Rasmussen-Wilson Funeral Home, 1350 E 16th St, Burley and at the church from 10 until 10:45 a.m. preceding the service. BURLEY—Memorial services will be held Monday, February 11, 2019 at 1 p.m. at Morrison Payne Funeral Home. Services are under the direction of Morrison Payne Funeral Home. Robert “Bob” Lee Conklin, 68, a resident of Wendell, passed away on Friday, February 15, 2019 at his home in Wendell. Funeral arrangements are pending under the care and direction of Demaray Funeral Service—Wendell Chapel. Condolences, memories and photos can be shared with the family by following the obituary link at www.demarayfuneralservice.com. Lovel Louise Blacker, an 81-year-old resident of Burley, died Friday, February 15, 2019, at her home. The funeral will be held at 11 a.m. Friday, February 22, 2019 at The Church of Jesus Christ of Latter-day Saints—Pella 1st Ward, 160 W. 400 S., of Burley. Burial will be at Riverside Cemetery in Heyburn. Friends may call from 6 to 8 p.m. Thursday, February 21, 2019 at Rasmussen-Wilson Funeral Home, 1350 E. 16th St., in Burley, and at the church from 10 to 10:45 a.m. Friday, February 22, 2019. Dewey Clyde Tubbs was born April 7, 1933 and passed away at his home at the Christian Retirement Village on February 2, 2019. He was born in Globe, Arizona to Dewie and Ellen Tubbs, but spent most of his childhood in Sonoma, California, graduating from Sonoma High School in 1952. He joined the Navy as soon after graduation and served in the Korean War before meeting his future wife, Margaret (Divelbiss) Tubbs. Dewey and Margaret met at a New Years dance in 1954 and the majority of their 9 month courtship was spent apart while Dewey was at sea. Dewey and Margaret welcomed two boys 20 months apart early in their marriage, James Daniel Tubbs and Richard David Tubbs. The navy brought their family to San Francisco, Seattle, and Long Beach. In 1964 they moved to Gooding, Idaho to take over Margaret’s family farm, sold the farm in 1978 and moved to Kimberly, Idaho. When Dewey was 47 years old the Lord surprised them with a little girl to love, Jennifer Anne (Tubbs) Florendo. After retirement Dewey and Margaret spent eight years traveling and exploring in their 5th wheel before settling down in Twin Falls and later, Boise, to enjoy more time with their beloved grandchildren. He was member of First Christian Church (Twin Falls), First Christian Church (Buhl) and finally the Capital City Christian Church in Boise, the same Church he and Margaret were married in 64 years ago. Dewey was preceded in death by his parents, along with his sisters Marjorie Myers and Alice Archer. Dewey is survived by his loving wife Margaret; sons Jim (Dianne) and Rich and daughter Jenni (Joel) Florendo; as well as six grandchildren and two great grandchildren. He is also survived by three brothers and one sister. There will be no formal service. His life will be celebrated next summer when his family can all be together as they scatter his ashes at his favorite fishing hole on the Little Smoky River north of Fairfield. In lieu of flowers, contributions may be made to the Boise Christian Retirement Village, 3223 N 36th St., Boise, ID 83703. Elsa Martindale, 73, of Burley passed away Thursday, February 7, 2019 at Cassia Regional Medical Center. Arrangements are pending under the direction of Morrison Payne Funeral Home. Stanley R. Hurd, 67, of Wendell passed away on February 3, 2019, at his home surrounded by family. Stanley was born August 4, 1951, in Wendell, Idaho the son of Ralph and Juanita (McGhee) Hurd. He was raised and educated in Riverside, California. After his graduation, he enlisted in the Army National Guard, where he served for six years. Stanley was a lifelong member and preacher of the Church of Christ. He was a mail carrier with the United States Post Office for 29 years. He loved his job because he could love on all of his recipients. Upon his retirement, he became a member of the American Legion Post 41 in Wendell, Idaho, where he served in the position of Sergeant-at-Arms. He married Janis Fisher on September 21, 1982, in Lovelock, Nevada. He adored his wife with generous acts of love. Stan enjoyed many things some of which include; fishing, gardening, traveling, playing cards, writing, helping others, and giving “horseback rides” to little ones, especially his grandbabies. He assisted in the foundation of International Bible Studies (IBS) doing missionary work in Nepal, Ghana, and India. He loved singing, preaching, visiting others and Praising God! He is survived by his wife Janis Hurd; he loved each of his children; Joe (Karen) Nicholson of Mukilteo, WA, Jeff (December) Nicholson of Battle Ground, WA, Donavon (Monica) Hurd of Picabo, ID, Jarod (Francesca) Hurd of North Plains, OR, Jessica (Jermaine) Galloway of Prosper, TX, and Lety (Simon) Martinez of Wendell, 17 grandchildren, two great-grandchildren, his mother Juanita Hurd, sister Cynthia Lundstrom, and brother Mike (Pam) Hurd. He was preceded in death by his father Ralph Marlin Hurd, grandparents Ralph and Esther Hurd and Earl and Lorena McGhee, and a brother-in-law Jim Lundstrom. A Celebration of Stan’s life will be held on Saturday, February 9, 2019, at 11 a.m. at the Wendell Senior Center, 380 1st Ave. E. with lunch to follow. Services will conclude at the Senior Center. Arrangements are under the care of Demaray’s Jerome Memorial Chapel. It is with heavy hearts that the family of Victor Thomas Stockton III aka Sonny announces his sudden death. Sonny died Sunday, January 13, 2019 at the age of 52 unexpectedly and far to soon. Sonny is the son of Victor Thomas Stockton Jr. aka Tom of North Pole, Alaska and Twin Falls, Idaho and Theresa Martindale of Twin Falls, Idaho. Sonny leaves behind his daughter Victoria and his three Alaska named grandchildren, Mackenzie, Tazlina, Elias, his son Devan and their mother/grandmother Bobbi Stockton (Mantei) along with his parents, 2 sisters, Brenda Lively of Twin Falls, Idaho and Laurie Stockton of Fresno, California and his brother Jay Martindale of Twin Falls, Idaho, along with his 4 nieces, 2 nephews and several great nieces and nephews. He is also loved & remembered by many aunts, uncles and cousins and the Mantei & McBride family. He was preceded in death by his stepfather Jay C. Martindale of Twin Falls, Idaho. Sonny was born in Woodland, California in 1966 and was raised between Twin Falls, Idaho and Alaska. When he was 9 his dad moved North Pole, Alaska to work on the pipeline, from there and he spent time between Idaho and Alaska. He moved permanently to Alaska around middle school where he wrestled, weight lifted and played football at North Pole Jr/Sr High. You could find Sonny outside climbing trees, digging up worms, collecting bugs, spiders, snakes anything creepy. He found pleasure in using those creepy crawlers to pay back his sisters and their friends, as you can imagine, growing up with all girls, LaDonna and Charlotte McBride, to mention a couple. His mama was not excluded from these creepy crawler pranks, his favorite was tossing daddy long legs at them. You always knew he was up to something, when you heard any female shriek .... they knew it was Sonny Boy at work. Those mischievous, smiling eyes and dimples gave him away, and made it hard to stay mad at him. He also passed down this tradition to his son by teaching creepy crawler pranks for his mom and sister. Sonny didn't change much in his adulthood, he continued his outdoor adventures and Alaska was the best playground for him. He hunted everything, fished everything, every outdoor big boy toy, he had. He loved his adventurous family, especially teaching his kids how to hunt and fish and most of all be real Alaskans! They enjoyed many great years in Alaska outdoor adventures and traveling to the lower 48 to see family. His children and grandchildren have taken after him, you can find them outside playing in the winter and summer. He loved fun and had a great sense of humor, always a lot of laughter! Sonny was a respected member of this community, he followed in his dads steps and became an Iron Worker in 1989. Sonny loved his work and was one of the best. Excellence and hard work was something he prided himself in. His favorite was connecting big iron, he worked his way to the top leading jobs and crews of men for the past several years. During one of his last jobs at UAF, Sonny said he had an outstanding crew and the job was running smooth, only 1 problem, there wasn't much for him to "physically" do. Sonny and his wife were blessed to host the annual iron workers picnic for many years, this was a joy for them. His email was lovealaska751 - that pretty much says it all! Sonny will be missed by many, his smiling eyes and dimples will always be in our hearts. We know we will see him again some day. Topping Out - Celebration of Life, February 10, 2019 at 2 p.m. Alaska Land Civic Center. Floral arrangements can be sent to the Civic Center between 10 to 2 p.m. on Sunday, February 10, 2019. Carol was born July 10, 1944 in Wendell, Idaho to Arthur and Vessie Stuhlberg. She graduated from Jerome High School in 1962, and shortly thereafter began her career in banking at First Security Bank in Twin Falls, Idaho. She married Jerry Osborn in 1963, and they had three children: Jeff, Jon, and Justin. They later divorced. Carol moved to Stockton, California and went to work for the Bank of Stockton. She attended San Joaquin College and graduated with a degree in Information Systems & Computers. Carol worked in three different banks for 40 plus years, retiring in 2008. She moved back to Idaho in 2012 and was in a memory care center for the last five years. Marilyn J. LaCroix, 86, a resident of Gooding died, Saturday, February 2, 2019 at North Canyon Medical Center. In 1972, she turned professional with her painting. The railroad sent them to Arco, Idaho in 1973 which proved a wonderful area for ideas for mom’s painting. She painted using oils, acrylics and watercolors. Mom was an exceptional artist and exhibited all over the United States, in Europe, South America and Canada. In 1990, Dad retired from the railroad. Mom and Dad were able to travel around the country where Mom continued to paint and to exhibit and Dad helped her with the painting business. In 1998, Mom and Dad moved back to Gooding. In 1999, while in and out of town hospital, she was given the wrong drug which resulted in progressive nerve damage which prevented her from ever painting or playing the piano again. Mom found a new way to develop her creative potential. She wrote a book about human creative potentials. In 2006, she put the book online at www.FutureRealities.info. Titled, “Creating From the Future: Making It through the End Times”, the book combines Art, Science, Spirituality and Consciousness Evolution, including an Artists’ Workbook with Resource Photos and Tips on composition and color. Up to the day she entered the hospital, Mom continued to update her website and book. Cremation arrangements are under the care and direction of Demaray Funeral Service – Gooding Chapel. Memorial contributions may be made to the Gooding Senior Center, the Gooding Public Library, or to Helping Hearts & Hands. Obituary: Ronald L Leder Rev. Reverend Ronald L. Leder was called to his eternal rest on January 23, at the age of 88. He was born July 29, 1930. Ron was born to William and Hulda Leder in Corvallis, Oregon. He was a member of St. Luke Lutheran in Oakridge, Oregon at the time of his death. Ron married Jeanne Toedter on July 6, 1958. They spent most of their 60 years serving together in Canada, Washington, Idaho and Oregon. After retirement Pastor Ron continued to serve his Lord by teaching Bible study and serving as on-call pastor to many churches in Oregon. Ron is survived by his wife Jeanne; son Brian (DeAnna); daughters Marlys and Sharon (Phil); his brother David; five grandchildren, and six great-grandchildren. He was preceded in death by his sisters Irene and Lois, and brother Robert. A memorial service will be held on Sunday, February 10, at 3 p.m. at St. Luke Lutheran Church, Oakridge OR. Memorials in Ron’s name may be made to Concordia Seminary, 801 Seminary Place, St. Louis, MO 63105. Jack was preceded in death by his parents, James and Julia Watts, his older sister Bobby Luchenbach, brother-in-law Luke Luchenbach, and wife Myra Jean Watts. Jack is survived by his wife of 18 years Dianne Watts, Twin Falls; Bob (Karolyn) Watts, Kimberly; Mary Lou (David) Taylor, PA; Tom (Jasmine) Watts, Reno, NV; Stepchildren Richelle (Mike) Eckert, Buhl, ID; Jon (Raeghen) Peavey, Carey, ID; Joe (MaryAnna) Peavey, Boise, ID; Cathy (Chris) Bell, Portland, OR; John (April) Allison, Boise, ID; Mike (Karen) Allison, Boise, ID; and Pat (Marty) Allison, Seattle, WA; 17 grandchildren and two great-grandchildren and his faithful companion, HoneyBear. A celebration of life will be held on Monday, February 11, 2019 at 1 p.m. at the Twin Falls Reformed Church. Arrangements are under the direction of Rosenau Funeral Chapel. In lieu of flowers, the family requests donations be made to the Twin Falls Senior Center c/o Dianne Watts. Please visit ww.rosenaufuneralhome.com. Maude Lou Mildred Marie Felton Greenwell (a.k.a. Auvie, Maude Lou, Lou) having been given the gift of life on February 13, 1929, gave it back surrounded by loved ones Saturday, February 2, 2019, aged to 89 years of perfection. Although incredibly painful for those of us that she left behind, it was an amazing gift to for her to have been received back into the light of her faithful husband and vibrant daughter. Early on, she expressed a great love for both song and dance, and also dabbled in both cheer and fencing. Throughout her life one could often hear her say that “a healthy body keeps a healthy mind.” After graduating from Paul High School in 1947, she soon met the one and only love of her life, Don A. Greenwell – a fiery redhead on a little horse. Don quickly realized that this beauty was truly a one of a kind, he swept her off her feet and “put a ring on it” on April 7, 1948. They recently celebrated their union of 70 years with their family cheering them on; they were a true example of loyalty and love. We welcome you to join us in remembering, reminiscing, and celebrating the amazing woman she was on Friday, February 8, 2019 at 2 p.m. at Hansen Mortuary, 710 6th Street in Rupert, Idaho, with a viewing Thursday, February 7, 2019 from 6 to 8 p.m. at the same location. RUPERT—Funeral today at 2 p.m. at Rasmussen-Wilson Funeral Home, 1350 E 16th St, Burley. BURLY—Funeral services will be held today at 11 a.m. at Rasmussen-Wilson Funeral Home, 1350 E. 16th St., in Burley, with Bishop Ty Jones officiating. Burial will be in Marion Cemetery. Friends may call Thursday, February 7, 2019 from 6 to 8 p.m. and one hour prior to the service today at the funeral home. RUPERT—We welcome you to join us in remembering, reminiscing, and celebrating the amazing woman she was today at 2 p.m., at Hansen Mortuary, 710 6th Street in Rupert, Idaho, with a viewing Thursday, February 7th, 2019 from 6 to 8 p.m. on at the same location. KETCHUM—A memorial potluck will be held Saturday, February 9, 2019 at 1 p.m. at the Silver & Gold Senior Center in Eden. WENDELL—Memorial Service will be held on Saturday, February 9, 2019, at 11 a.m. at the Senior Center in Wendell (380 1st Ave. E) with lunch to follow. RUPERT—Funeral will be held at Saturday, February 9, 2019 at 2 p.m. the Rupert 1st Ward Chapel of the Church of Jesus Christ of Latter-day Saints, 806 G Street, Rupert. A viewing will be held from 6 until 8 p.m. Friday, February 8 at Hansen Mortuary in Rupert. PAUL—Funeral will be held Saturday, February 9 at 11 a.m. at the Paul 2nd Ward Church of Jesus Christ of Latter-day Saints, 424 West Ellis St, Paul A viewing will be from 6 until 8 p.m. Friday, February 8 at Hansen Mortuary. ALASKA—Celebration of Life will be held Sunday, February 10, 2019 at 2 p.m. at the Alaska Land Civic Center. Floral arrangements can be sent to the Civic Center Sunday, February 10, 2019 from 10 a.m to 2 p.m. .
OREGON—Memorial service Sunday, February 10, 2019 at 3 p.m. at St. Luke Lutheran Church, Oakridge, OR. KIMBERLY—Celebration of Life Monday, February 11, 2019 at 1 p.m. at the Twin Falls Reformed Church. Arrangements are under the direction of Rosenau Funeral Chapel. PAUL—Funeral Monday, February 11, 2019 at 11 a.m. at the Church of Jesus Christ of Latter-day Saints, Paul Stake Center, 424 W Ellis St in Paul. A viewing will be from 5 to 7 p.m. Sunday, February 10, 2019 at Rasmussen-Wilson Funeral Home, 1350 E 16th St, Burley and at the church from 10 until 10:45 a.m. preceding the service. RUPERT—Funeral Friday, February 8, 2019 at 2 p.m. at Rasmussen-Wilson Funeral Home, 1350 E 16th St, Burley. BURLY—Funeral services will be held Friday, February 8, 2019 at 11 a.m., at Rasmussen-Wilson Funeral Home, 1350 E. 16th St., in Burley, with Bishop Ty Jones officiating. Burial will be in Marion Cemetery. Friends may call Thursday, February 7, 2019 from 6 to 8 p.m. , and one hour prior to the service on Friday, at the funeral home. KETCHUM—A memorial potluck will be held Saturday, February 9, 2019 at 1 p.m at the Silver & Gold Senior Center in Eden, . RUPERT—Funeral Saturday, February 9, 2019 at 2 p.m. at the Rupert 1st Ward Chapel of the Church of Jesus Christ of Latter-day Saints, 806 G Street, Rupert. A viewing will be held Friday, February 8, 2019 from 6 to 8 p.m. at Hansen Mortuary in Rupert. PAUL—Funeral Saturday, February 9, 2019 at 11 a.m. at the Paul 2nd Ward Church of Jesus Christ of Latter-day Saints, 424 West Ellis St, Paul A viewing will be Friday, February 8, 2019 from 6 to 8 p.m. at Hansen Mortuary. PAUL—Funeral Monday, February 11, 2019 at 11 a.m. at the Church of Jesus Christ of Latter-day Saints, Paul Stake Center, 424 W Ellis St in Paul. A viewing will be from 5 to 7 p.m. Sunday February 10 at Rasmussen-Wilson Funeral Home, 1350 E 16th St, Burley and at the church from 10 to 10:45 a.m. preceding the service. Dorothy Grenz, 92, of Twin Falls, died Tuesday, February 5, 2019. Arrangements are pending with Serenity Funeral Chapel Life Celebration Center and Cremation Services of Idaho, Twin Falls. Condolences may be shared at www.serenityfuneralchapel.com. Mason Meyers, 55, of Filer, died Wednesday, February 6, 2019. Arrangements are pending with Serenity Funeral Chapel Life Celebration Center and Cremation Services of Idaho, Twin Falls. Condolences may be shared at www.serenityfuneralchapel.com. Dewey Tubbs, 85, of Boise died Saturday, February 2, 2019. Cremation is under the direction of Cremation Society of Idaho. Willard D. Brown, 85 of Jerome, died Wednesday, February 6, 2019 at his home. Arrangements are pending under the care of Farnsworth Mortuary, Jerome. Robert Wayne LaDeaux, Jr., 45, of Shelley, passed away on Tuesday, February 5, 2019 in an automobile accident in Idaho Falls. Arrangements are pending under the care of Buck Miller Hann Funeral Home in Idaho Falls. PAUL – Mardenne Johnson Nield, a 94 year old former resident of Paul, passed away Monday, Feb. 4, 2019, at MorningStar Senior Living of Idaho Falls. She was born Jan. 23, 1925, in Oakland, California, the daughter of Andrew Kenneth and Zella Archibald Johnson. As a child, she lived in Logan, Utah, St. Paul, Minnesota, and Afton, Wyoming. She received a bachelor degree from Utah State University in Logan, Utah, and a Master's Degree in English Literature from Idaho State University in Pocatello. She married Oran Nield on April 13, 1946, in Afton, Wyoming; they were sealed for time and all eternity in the Logan Utah Temple on their 50th wedding anniversary. 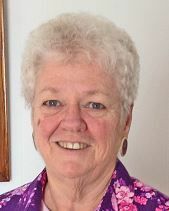 She taught school for 37 years, with the majority of her time teaching in the English department of Minico High School. She also taught college courses. She was an active member of The Church of Jesus Christ of Latter-day Saints and blessed the lives of many through her outstanding musical talent. She was the Paul Stake music chairman/director for many years and served as the Paul 2nd Ward's music and choir director. She was called as a member of the multi-stake public affairs council and with her husband, Oran, served a two-year stake mission. Mardenne's love of community and its members led her to work on behalf of senior citizens in Minidoka County to make them aware of state and county services available. She, along with Kathleen Hedberg, put forth many long hours trying to establish a network of small, local libraries in the smaller communities in the Mini-Cassia area. Additionally, she was an avid reader, enjoyed golfing and gardening. Those who had the privilege of knowing Mardenne, knew at once that she was an elect lady and a woman of impeccable character and integrity. Her high school students have and will always value her high expectations and her willingness to assist them achieving success in their lives. Mardenne is survived by her daughter, Nicole (Ron) Smith of Rupert; a son, Michael Oran (Michelle) Nield of Shelley; 12 grandchildren; and five great-grandchildren. She was preceded in death by her parents; her husband, Oran; two daughters, Jody Lynn Nield (who died at six months of age) and Elizabeth Nield (who was silently born); one sister, Barbara Johnson Linford; and a brother, Kenneth Dee Johnson. The funeral will be held at Monday, February 11, 2019 at 11 a.m., at The Church of Jesus Christ of Latter-day Saints - Paul Stake Center, 424 W. Ellis St., in Paul, with Bishop Dean Stevenson officiating. Burial will be in Paul Cemetery. Friends may call Sunday, February 10, 2019 from 5 to 7 p.m. at Rasmussen-Wilson Funeral Home, 1350 E. 16th St., in Burley, and at the church on Monday, February 11, 2019 from 10 to 10:45 a.m.
Shawna Larson, 47, returned home on Monday, February 4, 2019, in Rupert Idaho, after a courageous battle with cancer, she was surrounded by her loving family. Shawna was born November 16, 1971. To Garland and Patricia Larson in American Falls, ID. She was the third child of 7 children. Shawna was a pleasant person to be around, she loved children, especially her nieces and nephews. She spent many years as a nanny back east. She served an LDS mission in Philadelphia. Shawna leaves a legacy of scrapbooks and pictures behind. She loved to be behind the camera, never in front of it. Shawna was a farm girl, choosing to be by our mom’s side in the cow barn as a young girl, rather than staying in the house. Shawna will always be loved for her vibrant personality. We send her home to our Heavenly Father to be united with our mother and family who have been waiting to welcome her home. She is survived by her father, brothers Brynen (Lisa) Shane (Christine), sisters Heidi (Steve) Randall, Kimberly (Bryan) Jensen, Nicole, (Josh) Kirkbride. The family would like to thank Hospice, Her many friends and coworkers at the Sprinkler shop, Boonies, and the Rupert 1st Ward for their love and support through her illness. Funeral services will be held Saturday, February 9, 2019 at 2 p.m. at the Rupert 1st Ward Chapel of the Church of Jesus Christ of Latter-day Saints 806 G Street in Rupert with Bishop Mike Larson officiating. Viewing for family and friends will be held Friday, February 8, 2019 from 6 to 8 p.m. on at Hansen Mortuary in Rupert. Services are under the direction of Joel Heward Hansen Mortuary. RUPERT – Gail Lorraine Wilson, a 73-year-old resident of Rupert, passed away Monday, February 4, 2019, at her daughter’s home in Gooding. She is survived by her five children; her siblings, Shelley Christiansen of Twin Falls, Lois (Mike) King of Provo, Utah, and Roy Wilson of Klamath, Washington; 11 grandchildren; and ten great-grandchildren, with another due to arrive on June 20. The funeral will be held Friday, February 8, 2019 at 2 p.m., at Rasmussen-Wilson Funeral Home, 1350 E. 16th St., in Burley. Burial will follow at the Rupert Cemetery. Helen Dorene Anderson BURLY—Funeral services will be held Friday, February 8, 2019 at 11 a.m. at Rasmussen-Wilson Funeral Home, 1350 E. 16th St., in Burley, with Bishop Ty Jones officiating. Burial will be in Marion Cemetery. Friends may call Thursday, February 7 from 6 to 8 p.m. and one hour prior to the service on Friday, at the funeral home. KETCHUM—A memorial potluck will be held Saturday, February 9, 2019 at the Silver & Gold Senior Center in Eden, at 1 p.m.
TWIN FALLS—A celebration of life will be held Saturday, February 16, 2019 at 2 p.m. at the First Church of the Nazarene, 1231 Washington Street North, Twin Falls. The family requests that no one under the age of 18 attend. Cremation is under the direction of Serenity Funeral Chapel Life Celebration Center and Cremation Services of Idaho, Twin Falls. Condolences may be shared at www.serenityfuneralchapel.com. Terry Renee Williams, age 67, of Twin Falls, Idaho, escaped this mortal realm on January 31, 2019. She passed away peacefully with her loving family by her side. She fought a courageous battle with failing health over the last two years. Terry was born on October 30, 1951 in Twin Falls, Idaho, to Robert Earl and Fern Rosene Collins. Terry met the love of her life, Roy Lee Williams, and they were married on July 27, 1968. Terry worked as a Certified Nurses’ Aide for Mountain View Care Center in Kimberly, Idaho for a number of years, however, she always told everyone that her occupation was a “domestic slave”. Mom was almost always home when the kids got home from school. It was much to our delight as she was a wonderful cook and would often have homemade goodies for us. She remained an excellent cook until the time of her passing. She passed on the family recipe for homemade spaghetti sauce to her granddaughter Rylee Brown. Roy and Terry had three children together. Amy, Jennifer, and Eli. Roy and Terry enjoyed 41 beautiful years together. Roy passed away on March 28, 2010 following a battle with pancreatic cancer. Following Roy’s passing, Terry’s sister, Theresa Armenta came to live with her. They were each others’ biggest critics, as well as best friends. They loved binge watching “Murder She Wrote”, eating hot dogs, drinking diet Coke and diet Dr. Pepper, and listening to Celtic Thunder. When Terry fell too ill, she was forced to give up her love of smoking cigarettes. Terry would have been tickled pink to have a “smoking room” named in her honor. Terry was generous to a fault, soft at heart, yet she sugar-coated absolutely nothing. Terry was never one for sentiment or religion, but she would want everyone to remember her favorite motto which was “Trust No One”. Also, let it be known that JTV has lost a fiercely loyal customer in Terry. So many things in life seem of little significance at the time they happen, but they take on a greater importance as we near the end. Terry left the world a little better than the way she found it, and we will try to carry on her legacy of love for her family and her generosity to anyone in need. Terry leaves behind a very dysfunctional family that she was extremely proud of. Terry is survived by her daughter Amy (Doug) Brown of Hansen, Idaho, Son Eli (Melissa) Williams of Twin Falls, Idaho and Son In-Law Eric Brown of Hansen, Idaho. She is also survived by nine grandchildren, Cody (Melissa) Brown of Twin Falls, Idaho, Samantha (Luke) Cunningham of Jerome, Idaho, Shyla Brown of Hansen, Idaho, Rylee Brown (Said Salazar) of Twin Falls, Idaho, Ethan Brown of Hazelton, Idaho, Elliot (Jocee) Williams of Twin Falls, Idaho and Seth (Meranda) Williams of Twin Falls, Idaho. She is also survived by great grandchildren Carson and Sadie Brown of Hansen, Idaho, Mikayla Runyon of Twin Falls, Idaho, and one more on the way. She is survived by her brother Tommy (Mary) Collins of Paul, Idaho, sister Debbie (Lanny) Olsen of Clarkston, Washington, and her sister and most precious friend, Theresa Armenta of Twin Falls, Idaho. Terry was preceded in death by her parents Robert and Fern Colllins, brothers Bob and Calvin Collins, sister Phyllis Marinelarena, and her daughter Jennifer Lynn Brown. The family wishes to express their sincere appreciation to the entire staff at Hospice Visions as well as the entire staff at the office of Dr. Joseph Ippolito for their love and support at this difficult time. Terry will be greatly missed as a mother, grandmother, great-grandmother, sister, and friend. Following her wishes, there will not be a service, however, she would want well-wishers to remember “Please don’t cry because I am gone, instead be happy that I was here”. Instead of flowers, Terry would hope that you will do an unexpected and unsolicited act of kindness for someone who is deserving or in need. Stanley R. Hurd, 67, of Wendell passed away on Sunday, Feb. 3, 2019 at his home. Arrangements are pending under the care of Demaray’s Jerome Memorial Chapel. Maudelou Greenwell, 89, of Paul, passed away Saturday, February 2, 2019 at Pomerelle Place in Burley. Funeral arrangements are pending and will be announced by Joel Heward Hansen Mortuary in Rupert.